In 1962, Yves Saint Laurent’s first show under his own name opened with a navy blue wool pea coat paired with a white shantung pant. Though the ensemble may seem relatively commonplace today, this look was a manifesto for his entire body of work. 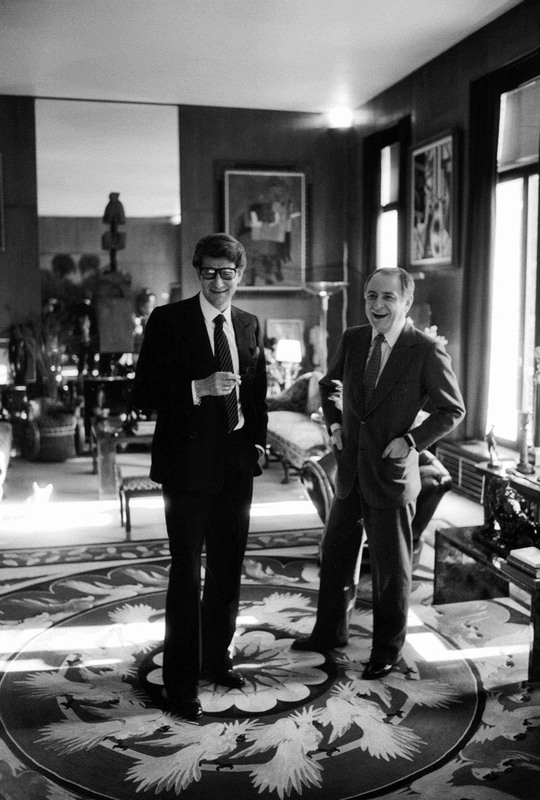 With the introduction of garments borrowed from menswear such as the trench coat, the tuxedo, the safari jacket, and the pantsuit, Yves Saint Laurent helped redefine the world of women’s fashion. The Seattle Art Museum presents Yves Saint Laurent: The Perfection of Style, showcasing highlights from the legendary designer’s 44-year career. Drawn from the collection of the Fondation Pierre Bergé – Yves Saint Laurent, the exhibition features new acquisitions by the Foundation that have never been shown publicly before. With a selection of over 100 haute couture and SAINT LAURENT rive gauche garments, as well as many accessories, photographs, drawings, films, and other multimedia elements from the Foundation’s vast archive, the exhibition is a visually rich environment within which to witness the development of Saint Laurent’s style. Besides finished garments, the exhibition presents Saint Laurent’s immersive working process from his first sketch and fabric selection to the various stages of production and fitting before a final garment was realized. The multifaceted exhibition is co-curated by Florence Müller, the Avenir Foundation Curator of Textile Art and Curator of Fashion at the Denver Art Museum, in collaboration with Chiyo Ishikawa, SAM’s Deputy Director for Art and Curator of European Painting and Sculpture. The unique installation is designed by architects Nathalie Crinière and Chloë Degaille of Agence NC, in collaboration with SAM’s exhibition designer Paul Martinez. Beginning in 1953 with the Paper Doll Couture House and shown here for the first time in the US, the exhibition is a journey from Saint Laurent’s first days at Dior in 1955, through his groundbreaking designs of the 1960s and 70s and the splendor of his last two decades of work before he retired in 2002.